What surprised me most was the chorus of bird song that filled the valley. In a country with a population explosion like India has, you’d think that nature will be overshadowed. 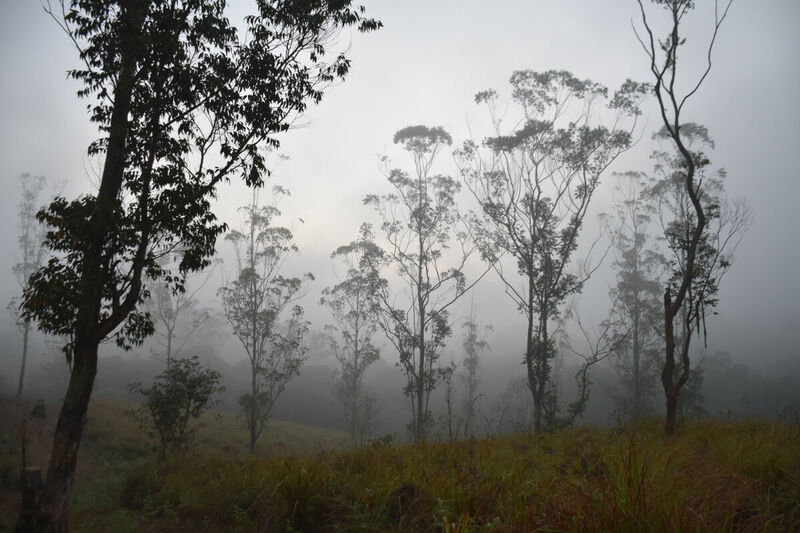 Yet, as we waited for the sun to rise on the fringes of Periyar forest, the forest was alive. In fact, the rhythmic calls of kingfishers were heard on most of our journey in Kerala. We left the hotel in darkness, hoping to catch the sunrise with the hills as a backdrop. The valley was engulfed in an eerie mist which slowly lifted as the sun ascended. 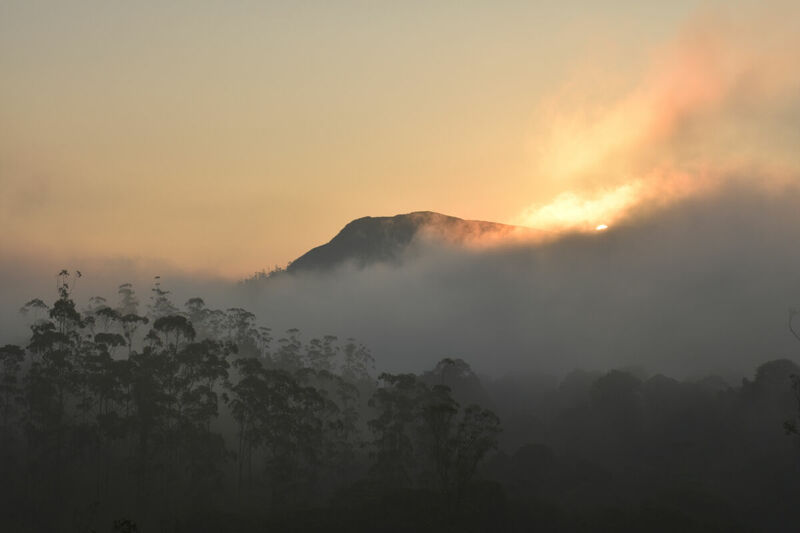 Black monkeys called in the distance and the silhouettes of sambar deer stood out against the dawn sky. When the valley was finally visible, a dense forest showed itself. 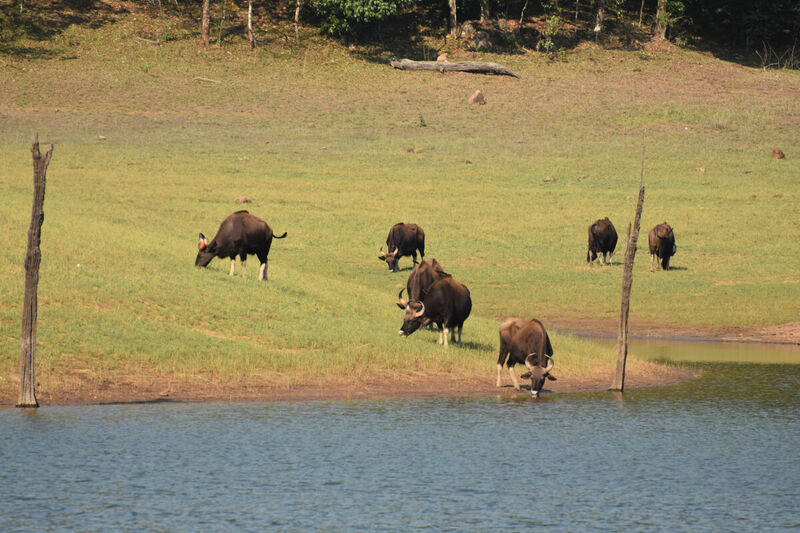 We were on the edge of the Periyar Tiger Reserve, which we were to visit later that day. Periyar’s prominence is due to its namesake river, a vital life force for Kerala. 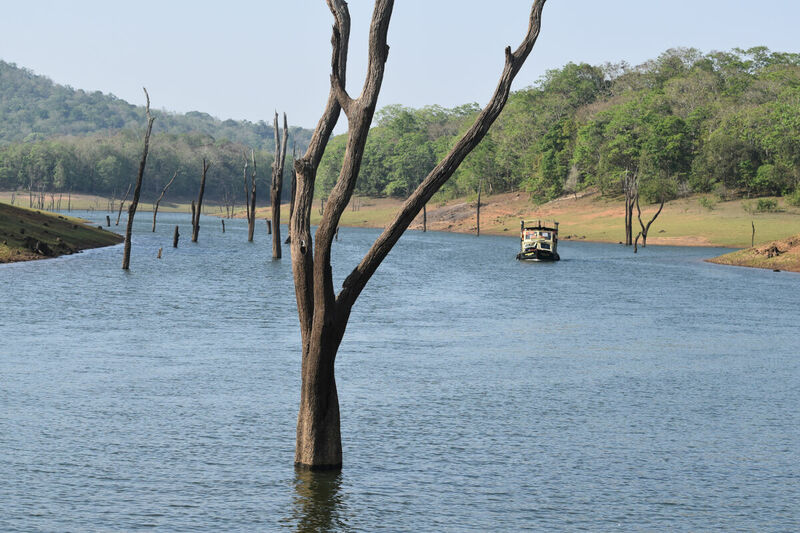 This mighty river runs through the Periyar Tiger Reserve, where a lake was formed. 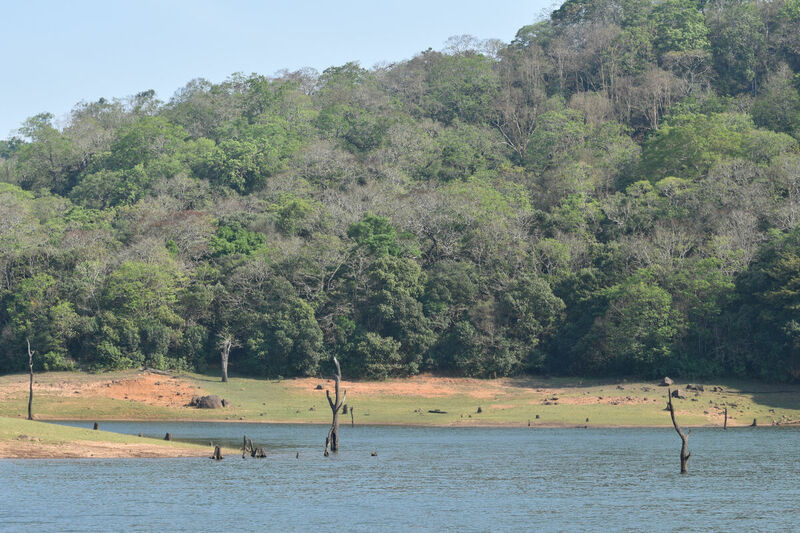 We joined a horde of tourists and locals aboard a ferry to cruise the waters of Lake Periyar in search of the reserve’s wildlife. Tigers, however, are rarely seen, preferring the dense foliage of the forest. March and April are the driest time of year, so we were fortunate to see some wildlife coming down to the lake shore and grazing on its still green banks. 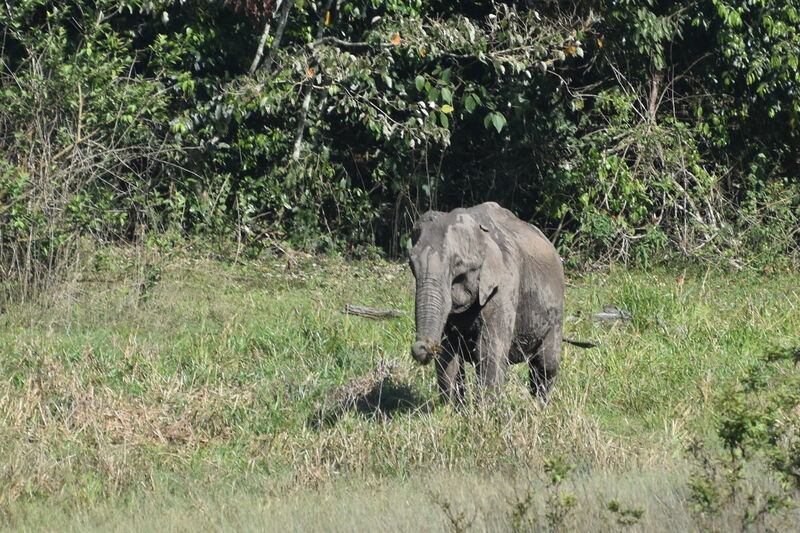 Asian elephants, sambar and blue deer and water buffalo were some of the wildlife we saw, as well as a myriad of birds. It’s not quite the same safari you’ll get in Africa (as remarked by a local who praised South Africa) – local Indians tend to be quite noisy, so don’t expect a peaceful safari. However, the views alone make it worthwhile. Later that day we browsed around town, with its endless shops selling spices and bright yellow banana slices being fried in coconut oil. The town is popular with tourists who often later gather for shows highlighting Kerala’s expression of the arts. Katharkali is a form of traditional dance theatre, known for its colourful costumes. 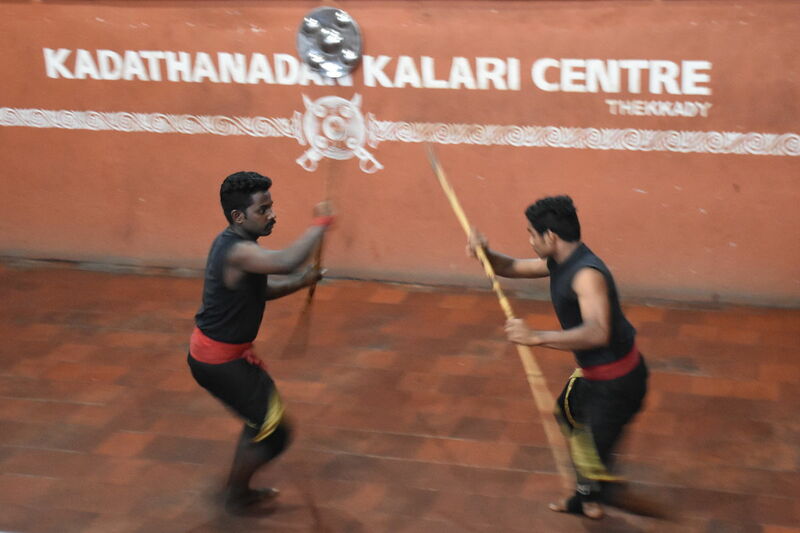 However, we were gripped by a traditional martial arts performance known as Kalaripayattu. Practising high levels of mind and body control, the participants have revived an ancient art that is said to have influenced the Chinese martial arts. 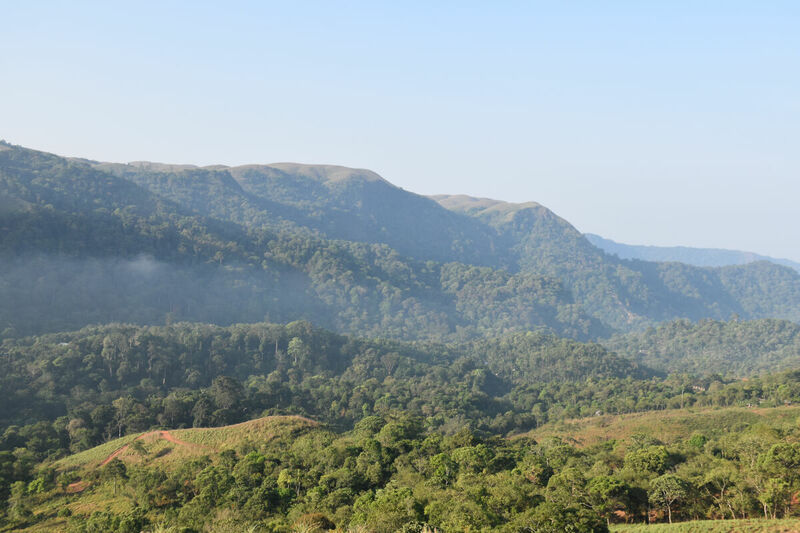 Periyar, situated in the green belt of Kerala is also the spice capital, being located in what is known as the Cardamom Hills. Read about my spice journey in Kerala (in my next blog post).